Mk, 09 Mar 2016Does anyone know if this phone will work with a European Network Provider? A friend is interes... moreCDMA doesnt work in Europe. Search for Kyocera Dura XE instead. That would work in Europe. I love my DuraMax. If it wasn't for the fact that I have to use smart phone as a realtor, I'd still be using it. I never worried about dropping it, ever. 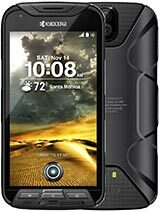 This phone is perfect for children because they are durable for kid usage. A parent can still message their child but the child can call rather than text. I don't like to text and this phone was perfect for that reason. Cons: Taking pictures. Too small for everyday use if taking pictures is your thing. I would have given my son, now grown, this phone rather than a smart phone because he has gone through 3 phones compared to my one DuraMax! If your child drops things, this Kyocera DuraMax is the phone to start them on. And, this phone won't drown in a puddle of water compared to the average smart phones, should you or a child drop it in water. They are built heavy, have very loud speakers, and are great work phones!!! For the price I paid ($60 new in box on eBay), this is an Excellent Phone! With a nerve conduction problem, I tend to drop things a lot, my phone especially. But, this phone is nearly "drop proof". There ARE a few small, programming "glitches" I would fix if I could, but it's otherwise a True Bargain at nearly ANY Price! I've sat on it, stepped on it, dropped it down several stairs and spilled Milk right into the keypad. Yet, it soldiers on without complaint! If you place the files just right, you CAN get it to play your MP3s. While the video it takes it of somewhat low quality, it takes "very good" photos for a pocket sized "flip phone". I've been using the DuraMax for nearly a year now and am Well Pleased with both it's performance and ruggedness! If I'd have invested in a "smart phone", I'd have destroyed it Long Ago. So, Thank You Kyocera, for making something that will stand up to a LOT of abuse and keep right on working. 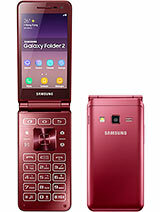 This would be an excellent "First Phone" for a young teen, who'd most likely damage or destroy an expensive cell phone. Or. for someone who works outside, or in "the rough". I'd highly recommend it, for anyone NOT "needing" the "toy factor" or applications a smart phone offers. No special case or "box" is needed, it has it's Own! A 16gb micro-SD Card, gives me nearly unlimited file and photo storage space. My ONE big problem, is I've been unable to get it to charge from my car. But an upgraded battery ($5), has extended it's "use time", significantly! 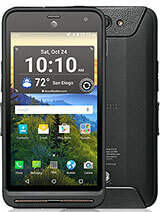 The Kyocera DuraMax, is the Perfect Phone for Me! I've had two of these I think they're great. I had a smartphone but I got an iPad at home so I don't need data on the road so I got one of these. They are basically bulletproof the call quality is crystal clear, simple to operate, and you don't have to worry about charging all the time I can almost a week on one charge! 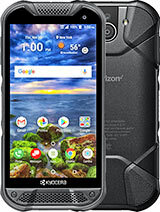 Total of 7 user reviews and opinions for Kyocera DuraMax.